Today we’re sharing Blue Violence, the new single from hotly anticipated Bristol based band Agarimo. The track is lifted from their debut self-titled EP, which is set for release next month. Agarimo is the project of Bristol-based brothers, Pablo and Juan Mestres, as well as the excellently named Jai Widdowson-Jones and Marco Tommaseo. The brothers are originally from Spain and take their name from a Galician word meaning, “in the shelter of”. Their EP’s recording was split between their home studio in Bristol and also some recording back in their home country. The record was co-produced and mixed by David Pye who has previously worked with Wild Beasts and Egyptian Hip-Hop, and it was mastered by Shawn Joseph who mastered Portishead’s album Third. 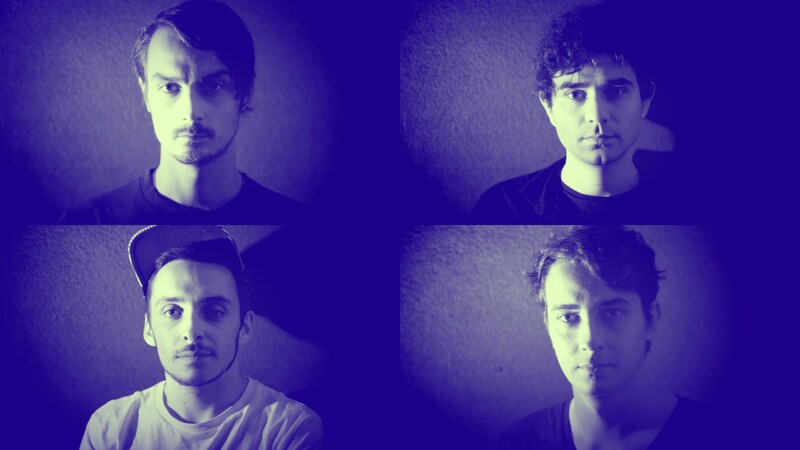 Blue Violence is a fine example of the band’s exciting sound, blending elements of classic psychedelic-rock with the more modern sounds of electronic rock. It is music that ebbs and flows beautifully, harnessing live drums and pulsing synthesisers as a backdrop from Pablo’s impressive vocals. With his fluent, multi-lingual lyrics, his voice is used as much as an additional instrument as a traditional lead vocal, which works excellently. Stream the track below, then head over to the bands Soundcloud page to hear more track. Agarimo’s self titled EP is out next month. They play The Louisiana in Bristol on October 11th.